Are You Looking for a Fresh Start With Your Marketing? Foster Web Marketing can manage all of your attorney website marketing needs. Contact us today to get started! You believe in hard work, and you hope that it will take your small or solo law firm where you want to go. Unfortunately, without strategy and planning, hard work alone isn’t likely to take you much of anywhere but in circles. 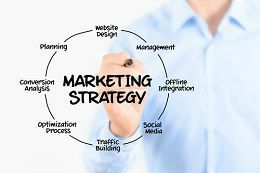 As pointed out in a recent article from the Michigan Bar Journal, coming up with a strategic marketing plan doesn’t have to be complicated for small firms—so what are you waiting for? Are You Completely Satisfied With Your Small Firm’s Current Business and Outlook for the Future? I don’t know anything about marketing! After that, it’s just a matter of connecting the dots in practical and actionable ways and keeping up your efforts to attract, convert, and retain the clients you want. You can get the education in marketing you need to start strategizing without bending over backwards or drowning in confusing jargon—just take a look at some of our free videos, articles, and webinars for some truly approachable tips. If you already know a little about marketing, you know that it takes time—something that small and solo firms are often short on. Even after you have implemented an effective website, targeted content, and a supportive strategy, you still have to put in some time to keep it all going. While looking at those unbillable hours may fill you with a sense of dread, strategic planning means that you can cut out the time spent on wasted efforts on and put a laser focus on more fruitful avenues instead. A strong marketing strategy can actually save you time, bring you more contacts, and give you more time to focus on more clients. Spending less on marketing won’t necessarily save you money, and word-of-mouth marketing can only take you so far. To really reach and convert potential clients, you have to be willing to pay for it, at least a little. While small firms often don’t have a lot of money to spare, it is possible to carve out what you need and start building bridges to your perfect clients. One-time costs. This might include setting up your website, shooting a batch of videos, developing a logo, and other easy-to-measure or one-and-done marketing projects. These kinds of costs will add up the most when you’re first getting started, but you should also plan for occasional redesigns and additions over time. On-going costs. There are also some costs involved in keeping your marketing plan humming. This might include the time and money you spend on AdWords, content creation, social media involvement, SEO, and other ways to constantly find and engage with potential clients. If planning your marketing still seems like an impossible task, don’t just ignore the need. Consider bringing in some help! At Foster Web Marketing, we work with small and medium firms all over the United States to develop plans that really work for them. Whether you want to roll up your sleeves or have us take the reins, we provide education, support, and services tailored specifically to businesses and law firms like yours. If you’d like to talk about how you can start planning an effective marketing strategy for your small firm, just give us a call at 866-460-3724. Learn How to Build a Sustainable Review Strategy!